Liston Design Build strives for excellence. Below is a list of the Home Remodeling Awards we’ve received for work we’ve done in the St. Louis area. 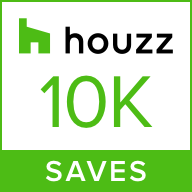 “Best of Houzz” 2019 Design Award, award given annually by Houzz, the leading platform for home remodeling and design, based upon the popularity of a professional’s portfolio among the Houzz community. “Best of Houzz” 2019 Customer Service Award, award given annually by Houzz, the leading platform for home remodeling and design, based upon the number and quality of client reviews a professional received. 2018 Chrysalis Award, national award which recognizes the nation’s best work in fifteen general categories of residential and commercial remodeling. Hundreds of companies enter projects that are judged on overall design, the creative use of space and materials, and the degree to which the project enhanced the original structure. “Best of Houzz” 2018 Customer Service Award, award given annually by Houzz, the leading platform for home remodeling and design, based upon the number and quality of client reviews a professional received. “Best of Houzz” 2017 Design Award, award given annually by Houzz, the leading platform for home remodeling and design, based upon the the popularity of a professional’s portfolio among the Houzz community. “Best of Houzz” 2017 Customer Service Award, award given annually by Houzz, the leading platform for home remodeling and design, based upon the number and quality of client reviews a professional received. “Remodeling Project of the Year: Kitchen”, 2016, Recipient of the Home Builders Association (HBA) of St. Louis & Eastern Missouri annual award honoring excellence in the home building industry. “Remodeling Project of the Year: Overall Home Redesign”, 2016 , Recipient of the Home Builders Association (HBA) of St. Louis & Eastern Missouri annual award honoring excellence in the home building industry. “Remodeling Project of the Year: Miscellaneous Project”, 2016 , 2016 – Recipient of the Home Builders Association (HBA) of St. Louis & Eastern Missouri annual award honoring excellence in the home building industry. 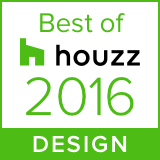 “Best of Houzz” 2016 Design Award, award given annually by Houzz, the leading platform for home remodeling and design, based upon the the popularity of a professional’s portfolio among the Houzz community. “Best of Houzz” 2016 Customer Service Award, award given annually by Houzz, the leading platform for home remodeling and design, based upon the number and quality of client reviews a professional received. “Guildmaster” 2016 Guild Quality, annual award celebrating service excellence among home service providers. The two primary metrics for award are customer response as well as their likelihood of referral. “Kitchen Remodeling Project of the Year” 2015, St. Louis Home Builders Association. Annual award given across several different categories for home improvement projects. “Lower Level Remodeling Project of the Year” 2015, St. Louis Home Builders Association. Annual award given across several different categories for home improvement projects. “Outdoor Living Remodeling Project of the Year” 2015, St. Louis Home Builders Association. Annual award given across several different categories for home improvement projects. “Best of Houzz” 2015 Design Award, award given annually by Houzz, the leading platform for home remodeling and design, based upon the the popularity of a professional’s portfolio among the Houzz community. “Best of Houzz” 2015 Customer Service Award, award given annually by Houzz, the leading platform for home remodeling and design, based upon the number and quality of client reviews a professional received. 2014 Bath of the Year Winner, St. Louis Homes + Lifestyles Magazine, an award given annually for exceptional work in the metro area. Noted for its smart use of floor space and incorporation of natural light, this Liston bath remodel was the Platinum Winner in the 125-250 square feet category. “Best of Houzz” 2014 Customer Service Award, an award given annually by Houzz, the leading platform for home remodeling and design, based upon the number and quality of client reviews a professional received. 2013 Bath of the Year Winner, St. Louis Homes + Lifestyles Magazine, an award given annually for exceptional work in the metro area. Noted for its timeless design, this Liston bath remodel was the Gold Winner in the 180-250 square feet category. 2012 Remodeling Magazine Big 50 winner, an award given out annually by Remodeling Magazine for professionalism and integrity through smart marketing, exemplary business practices, unique design, and extraordinary impact in the community or the industry at large. 2012 Remodeling Magazine Remodeling 550, a ranking by Remodeling Magazine of the largest remodeling and home improvement companies. To learn more about our home remodeling services, call us at 636-940-9417.